These two came from Georgia to tie the knot at Hurricane Ridge. 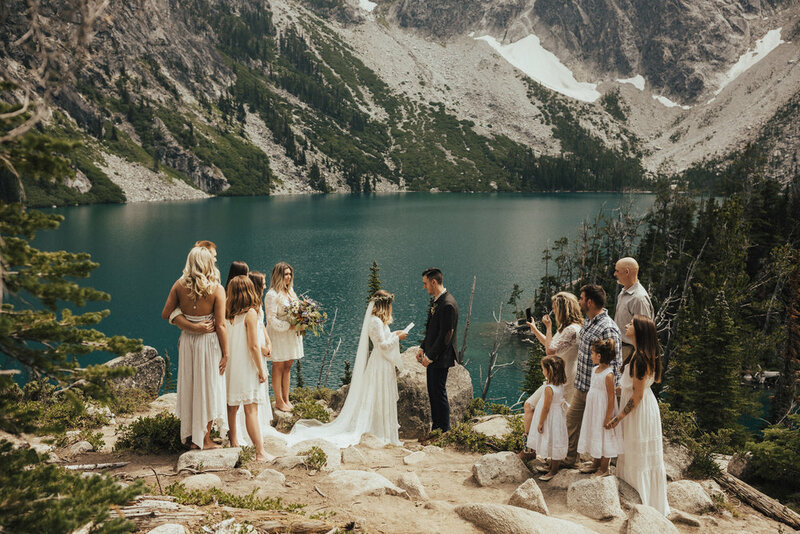 This relaxed elopement starts by the riverside and ends at sunset in the mountains, couldn’t be much sweeter. Jen and Levi spent the day seeing all the best sites on the Olympic Peninsula. They went from sandy beaches to mountain top views to celebrate their love. A day full of playfulness and fun. A Ruby Beach elopement complete with the couples Boston Terrier, Rosie! Laughter and joy fills the photos as these two say their vows in front of a driftwood alter. This couple gets the award for farthest travelled…coming all the way from AUSTRALIA for their intimate elopement on the ridge. Kylie Morgan photographed AND helped plan this elopement! Hiking around 6 miles to get to this view, Karaline and Robert got married in the North Cascades. They even hiked Karaline’s wildflower style bouquet up the mountain! This sun drenched August elopement looks as though its out of a dream. From champagne celebration to serenades; their relaxed day leaves them dancing into the sunset up at Deer Park.